Most high-rise apartments are fairly predictable – there are only so many ways one can stack a series of almost identical glass boxes. 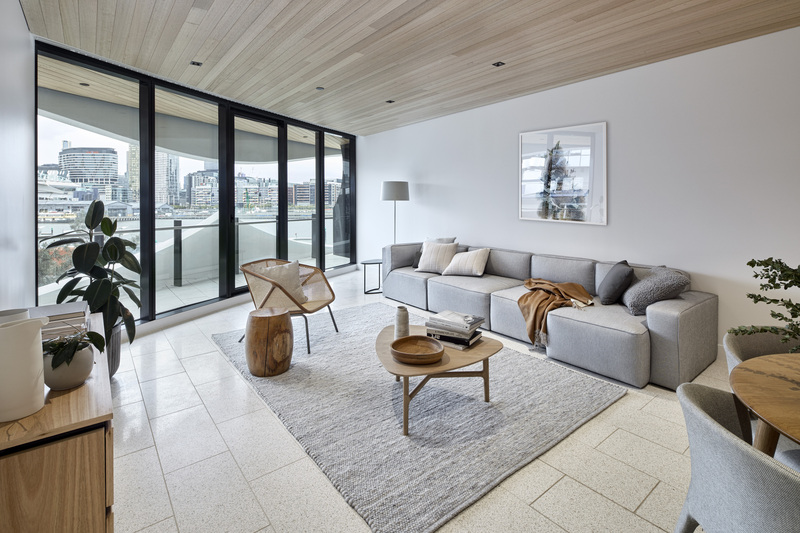 However, Banksia at NewQuay, Docklands, developed by MAB Corporation and designed by McBride Charles Ryan (MCR), is distinctly out of the box when it comes to design. Inspired by the native banksia seed pod, this 18-level residential building has been designed to maximise its water and city views to the south and views of the soon-to-be-completed park to the north. 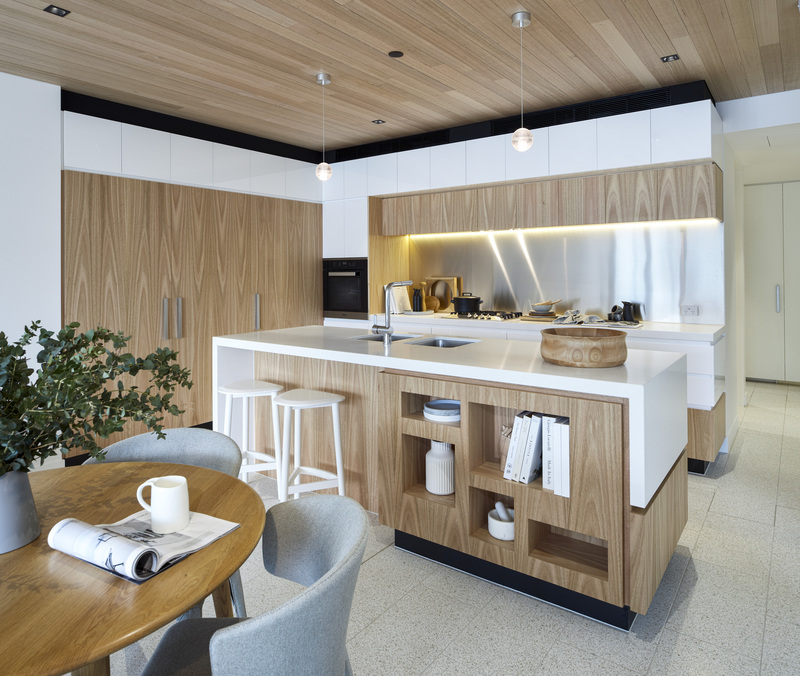 Unencumbered by neighbouring apartments, Banksia offers a serene yet distinctively inner-city lifestyle opportunity. Rather than mimicking international styles, Banksia’s strong, contemporary statement responds beautifully to the Australian bush. It’s not Paris, London or New York, but proudly Australian – without resorting to clichés of the outback. Those who remember the swinging 60s may recall the Gazebo Hotel, located in Sydney’s Elizabeth Bay. Novel for its time, the Gazebo brought a level of sophistication and glamour to the harbour city. Its circular form, with its distinctive curved fibreglass balconies, sets this development apart from others that border the watery vistas along Docklands Drive. Other design elements of Banksia that create intrigue include the ‘crown’ at the apex of the tower as well as a customised screen in the lobby by leading sculptor Robert Bridgewater. The shape of the building not only creates a sculptural presence in the park but also sets up a myriad of apartment configurations within. 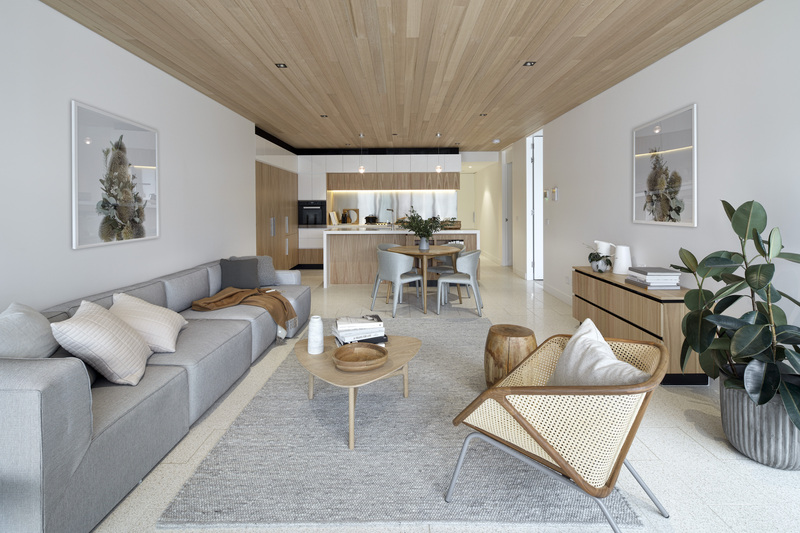 Moving away from the stereotype of rectilinear rooms that lead to a single balcony, Banksia hosts a variety of apartment floorplans with a diverse range of room layouts that respond to the form of the building. As well as small terraces leading from second and third bedrooms, apartments benefit from a larger terrace that is ideal for alfresco dining. One of the great surprises at Banksia is the treatment of the communal rooftop gardens and swimming pools on level 18. Complete with ponds, sunken gardens and sunken lounge areas, there’s a great sense of escape. Traversing stones over a pond to reach a plunge pool is pure fantasy, beautifully realised by MCR. 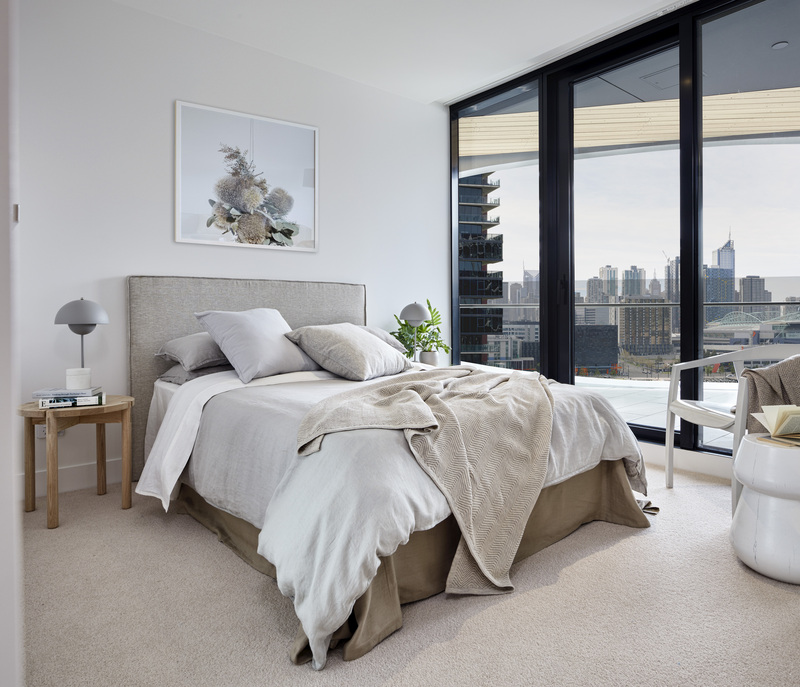 Find out more about Banksia or enquire about the apartments here.